To many, retail seems to be having an identity crisis. Closed storefronts on American and European streets and dead malls in India and China are blamed on the growth of online retail. At the same time, the world’s largest online retailer, Amazon, is opening physical stores and buying offline retail operations in the US and in India, while the world’s largest retailer, Walmart, is busy digesting India’s ecommerce market leader. Even India’s online fashion and lifestyle websites – among them Myntra, Firstcry, Yepme and Faballey – are acquiring offline brands or opening stores. Or both. The short answer: consumers want choice; and retailers have no choice. For many, ecommerce still seems to have the “new car smell” after more than 20 years, the message pitched so desperately by the founders of and investors in ecommerce companies still echoing: that this “new kid” will make customers’ lives a quintillion times better and wipe out the competition. Two decades on, and hundreds of billions of dollars of investment later, online retail is estimated to be about 12% of the global market. Ecommerce is 10% of the US market, of which Amazon takes up about half. In India the figure is in the vicinity of 2%, with that share is virtually stitched up between Walmart-owned Flipkart Group and Amazon. Clearly, consumers value offline retail stores, whether for convenience or as holistic brand ambassadors. You can’t take away the fact that retail for us is theatre, experience, social. Over at physical retail businesses, managers have been terrified of “channel conflict”. Senior management have squeezed resources for online, even when return-on-capital was demonstrably better than a new store. Some have refused to publicise their own company’s website through in-store banners, fearing that the customers would get sucked away from the store. 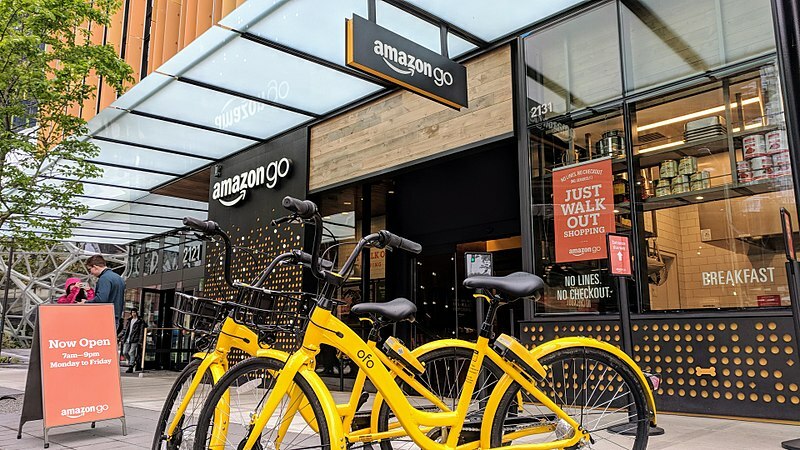 It has been strange to see this opportunity being passed up – if a customer is trusts you to walk into your physical store, why would you not want to connect with them at other points of time when they are not near your store? As I’ve written earlier, retail is not and should not be divided between “old-world physical” and “upstart online”. Successful retailers and brands have always been able to integrate multiple channels and environments to reach their customers. For instance, British fashion retailer Next has long used a combination of physical stores (of varying sizes) as well as mail order catalogue side-by-side, and then ecommerce as the digital medium grew. Another British retailer, Argos, took another angle and embedded a catalogue inside the physical store – first a paper catalogue, and then on-screen. American designer Rebecca Minkoff has taken this unification further. Without the weight of legacy systems, the brand attempts to create a seamless experience for the customer, unifying the store, in-store digital interfaces such as smart dressing rooms, the website and the mobile. No doubt, for older companies, integrating is tough; business systems and people are in disconnected silos, incentivised narrowly. Each channel needs different mindsets, capabilities, processes and systems, to ensure that the optimal customer experience appropriate for the interface, whether it is a store, mobile app, website or catalogue. But etailers opening physical stores have their own challenges, too, tackling the messy slowness of the physical world, where you can’t instantly switch the store layout after an A:B test. They now need to develop those very “old-world skills” and overheads that they thought they would never need. Regardless of where they begin, retailers need to mould and blend their business models with proficiency across channels. In the evolving environment, any brand or retailer must aim to offer as seamless an experience to the customer as feasible, where the customer never feels disconnected from the brand. Varying circumstances make customers choose different buying environments. At different times or on different days of the week, even the same person may choose to shop in entirely different ways. Successful retailers that outlast their competitors have used a variety of formats and channels to meet their customers, and will continue to do so. To my mind, retailers have no choice but to see the retail business as one, even as it is fluid and evolving. A retailer’s only choice is to bend with the customer’s choice. fantastfic put up, verry informative. I’m wondering why the opposite specialists of tnis sector don’t realize this.